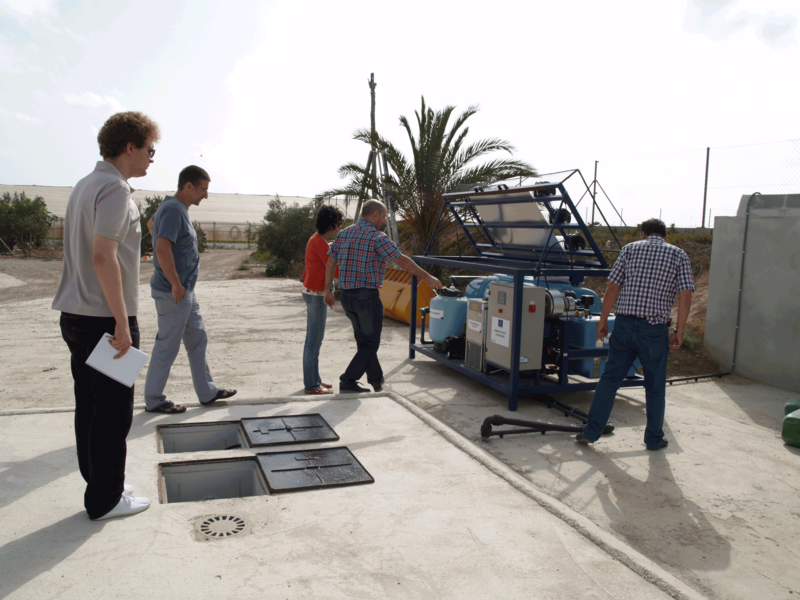 Last Monday, researchers from IMIDA and the University of Murcia participated in a training workshop on the use of Aquemfree equipment. 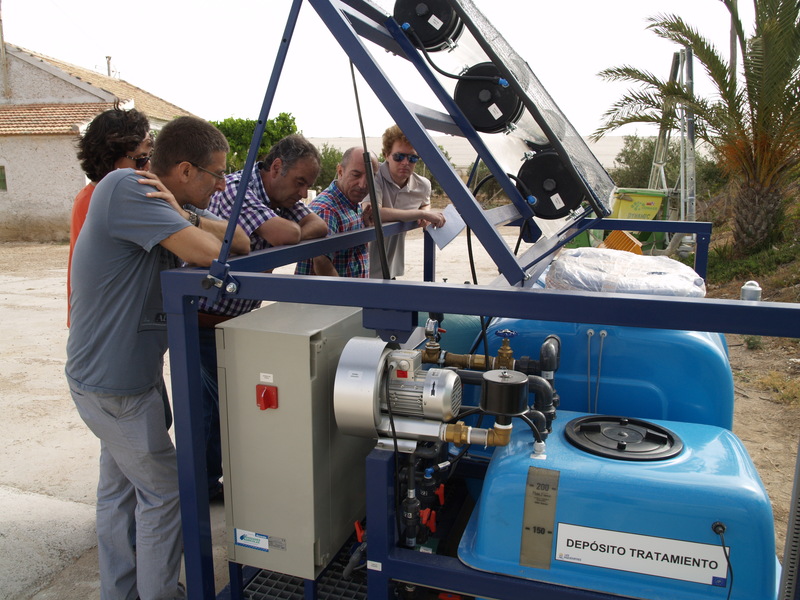 The workshop was given by Andrés Sánchez, Head of Production at Novedades Agrícolas. 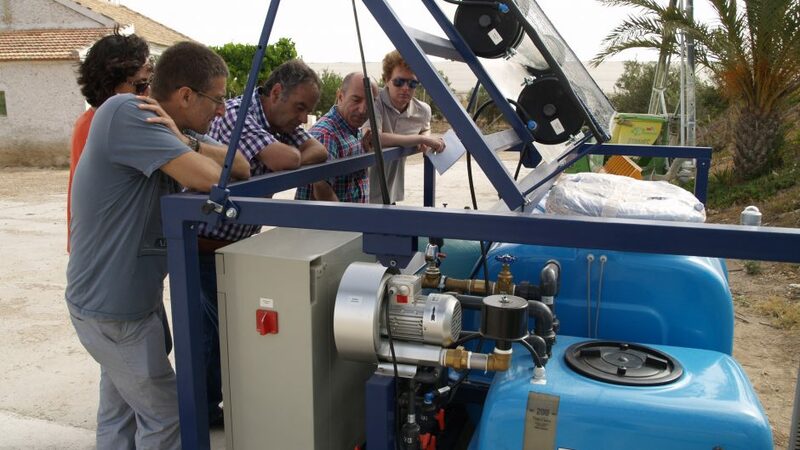 The courses were given using the prototype installed at the Torreblanca farm and on the pilot equipment at Los Rizaos, situated within the municipality of Torre Pacheco, Murcia. 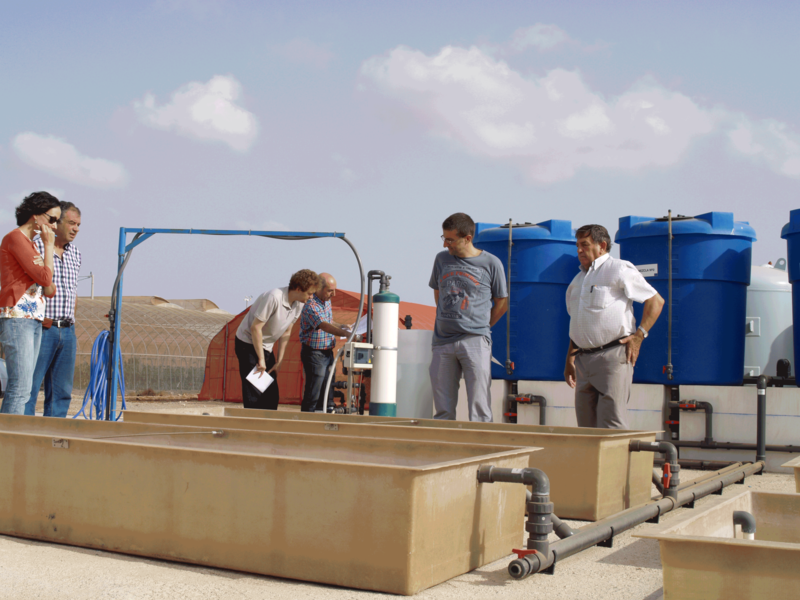 The latter will be officially inaugurated next week and is due to begin functioning under actual working conditions from September.